Learn how to paint and digitize watercolour patterns! In my Patterns For Products mini-course, you will learn how to paint, digitize, test, and use your own unique watercolour pattern for product design so that you can start earning an extra profit from your artwork! Through a series of step-by-step video tutorials, you'll learn the exact method I use to create flawless repeating patterns like the ones printed on my home decor items featured in stores like Target, Wayfair, and Bloomingdales. What's so great about pattern design? Patterns are used in so many different ways which makes them perfect for manufactured products. 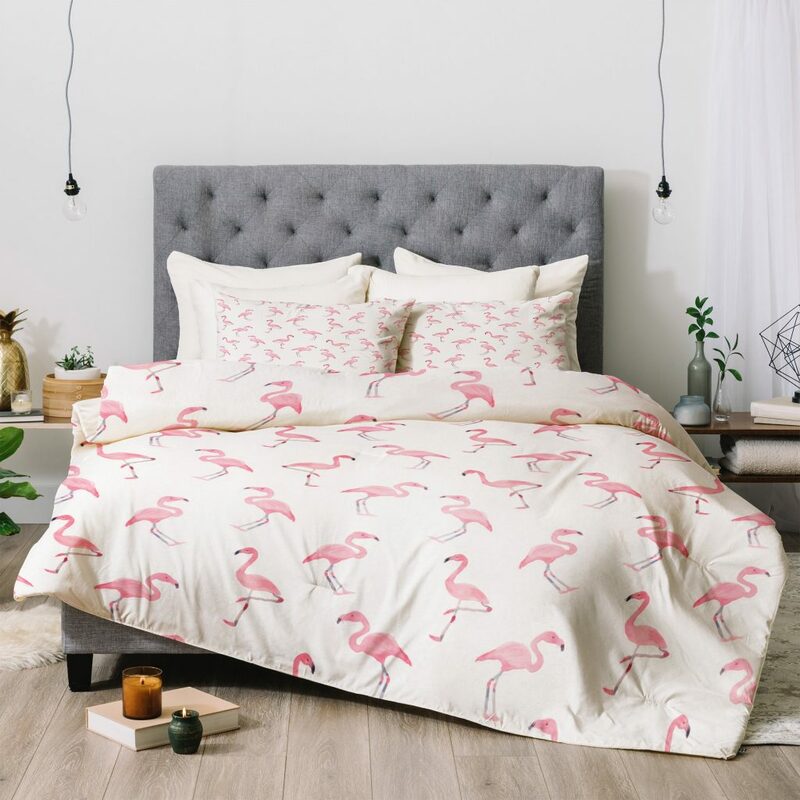 Textiles in particular are hugely produced items that can range from home decor items like bedding and wallpaper to fashion items like t-shirts and socks. Just look at all of the patterns printed on merchandise the next time you're on a shopping trip! One amazing thing about pattern design is that one single image can be repeated on an infinite scale, making the size or dimensions of the final product irrelevant. Having the knowledge to create repeating patterns effectively is a skill that can be used in so many applications, and you'll learn exactly how it's done in this course. How to effectively clean up your image and remove the background paper properly. This is specific to watercolour artwork as most other tutorials get this very wrong! You'll learn my trademark method and get my special Photoshop Action totally FREE! 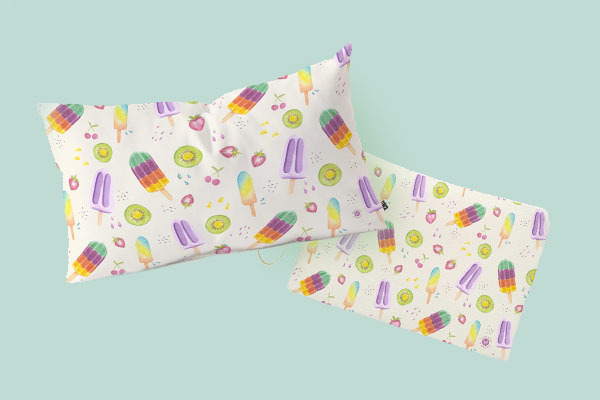 You'll learn how to create files for both digital AND physical products, and I'll show you exactly how to apply your pattern to products for sale in shops like Society6, Printful, Spoonflower, and more! 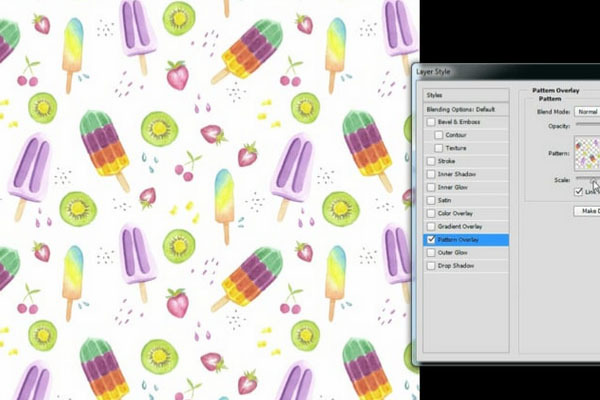 You'll create THIS popsicle pattern from start to finish in the course. The techniques you learn while making this pattern can be duplicated again and again on ANY other unique pattern you decide to create! 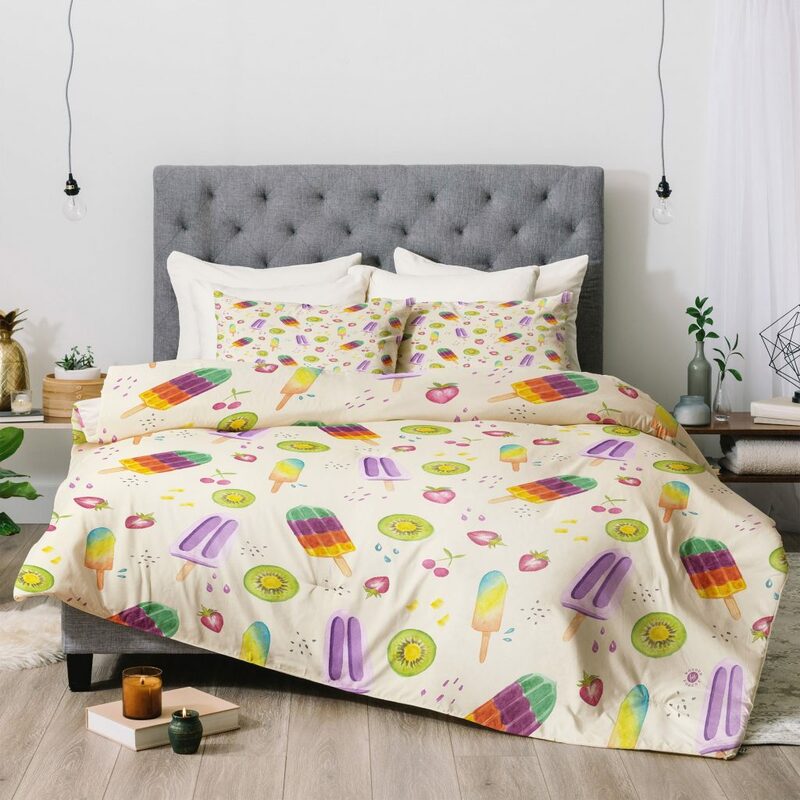 You'll be provided with an initial sketch of the popsicle elements so you can paint along to recreate this same pattern in the course. The first video will walk you through painting each element of this specific pattern so that you can get a feel for creating your own pattern elements in future designs. Before you join, you'll need some essential things! This is an intermediate mini-course which expects that you have knowledge of watercolour and Photoshop. I will walk you through creating an entire pattern step by step, however I will not teach the basics of Photoshop as it's assumed that you already know how to use the program. No time limit - watch and re-watch whenever you need to! Patterns For Products is for literally anybody with a creative skill. Artists, digital illustrators, calligraphers, and anyone who wants to learn a valuable skill to help generate more income from their work! The course consists of 7 full length videos which will take you about 45 minutes to review. You are able to pause and follow along at your own pace. How do I access the course once I purchase? After you enroll in the course, you will be able to login to this site by clicking on the Login link in the menu. From there, visit the Dashboard link in the menu to view your account and the course! You can start watching immediately. I'm not a watercolour artist, will this work for me? YES. Although this course has been geared towards watercolour art in particular, literally anybody can use it for any type of artwork. Some parts have been developed with watercolour art in mind to help keep the effect of a watercolour piece, but the techniques can be applied to non-watercolour art as well.